Irrespective of this, though, this need to define when human life begins (see our article is also due to the fact that during the early stages of human life — approximately during its first 14 days — this young embryo is subject to extensive and diverse threats that, in many cases, lead to its destruction (see HERE). Finally, this threat also extends to embryos produced by cloning and parthenogenesis, which can then be used for presumably therapeutic and, in particular, experimental ends, mainly to obtain embryonic cell lines that can then be used for biomedical experiments, leading to the inevitable destruction of the embryos created (see HERE). The second position is that of those who believe that the human zygote obtained by somatic cell nuclear transfer (SCNT) (cloning) is a different biological entity to the zygote obtained naturally (see our ethical assessment HERE). This has even been given its own unique name, “clonote”, with a value less than the zygote obtained by the fusion of human gametes, whether naturally or using human assisted reproduction techniques. There is even a fourth group, which are those researchers or clinicians who circumvent the problem, and who neither affirm nor deny the human identity of the embryo; they simply state that only the scientific aspect concerns them and that discussing the human nature of that biological entity that they use does not affect their job (See HERE). But can a scientist set out his experimental objectives without assessing their ethical consequences? Considering scientific research as another human act, it is not illogical to say that, as in any other activity of man, in his research, the scientist cannot fail to take into account the ethical side of his work. For that reason, this aspect should unfailingly be included in the development and assessment of his experimental protocols. A scientist can never stop responding ethically to the acts that he carries out. As a result of the above, it can generally be said that, from a bioethical point of view, for those who defend the first position, i.e. 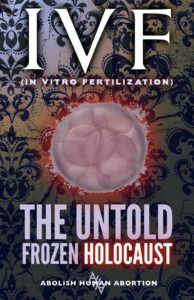 those who maintain that the early embryo is a cell cluster, there would be no ethical difficulty in using it as a source of stem cells or experimental material (see Report, Genetics engineering of human embryos), because even though this will entail its destruction, it would be destroying something with no biological or ontological value, never a living human being. However, for those who defend the third position — and I count myself among them — any manipulation of that emerging being would have to be done based on its biological and ontological reality of human embryo, that is, a living human being (see HERE). Is early human embryo a living being of our species? 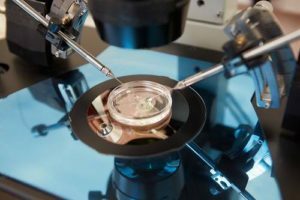 In this report, our aim is to try to establish that the early human embryo is a living being of our species, a human individual, and thus deserving of the highest respect. If we can do so, the first hypothesis could be ruled out, i.e. the theory that the human embryo is a cell cluster not organised as a living individual. 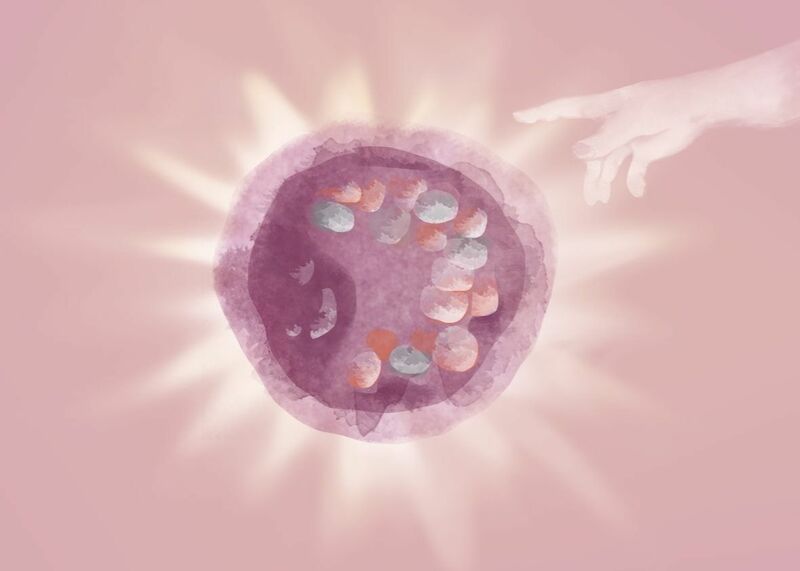 In relation to the second position, that of those who argue that the single-cell embryo obtained by SCNT (clonation) or parthenogenesis is substantially different from the naturally-obtained zygote, which would allow it to be used in some circumstances, we shall return to that later. We shall, therefore, pause to assess whether the human embryo is a living being of our species, an individual human being. We thus believe that DNA is necessary, but not sufficient, to identify a human individual. 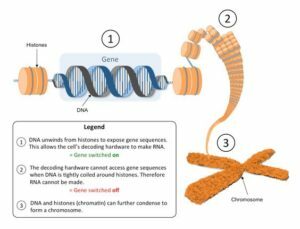 Not everything is in the genome; instead, the genetic information grows with the expression of the genes contained within it, which requires the activation and emission of its specific development program. 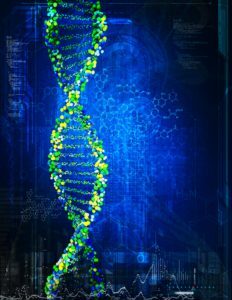 This program is activated as the life cycle of that individual progress, enabling the new being to initiate the complete and orderly emission of the genetic messages necessary for its development to take place in an orderly and complete manner. 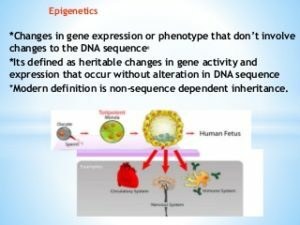 For this reason, increasing importance is being given to epigenetic factors, which cause minor modifications in the genome but do not affect its nucleotide sequence. These include DNA cytosine methylation, chromatin remodelling through histone acetylation, methylation and phosphorylation, or so called “imprinting“, which refers to the ability to impede the expression of some genes in the early stages of embryonic life, especially through selective silencing, depending on whether they come from the male or female gamete. 2. 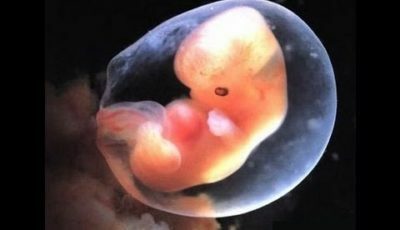 Is the early embryo an organised and living human being? In fact, as cell development advances — and from the first division of the zygote — an active exchange of information is established between its cells and between these and their environment, especially represented by the cell niche in which each blastomere (cell from an embryo of fewer than 8 to 16 cells) is located. These orders help to activate the differentiation mechanisms of the embryonic cells themselves, mechanisms regulated, among other things, through the expression of new genes, which they only do at certain times in their evolution, as a result of the aforementioned cellular interactions. That is, the behaviour of a cell, as regards principally its biological evolution, does not depend solely on the genetic information contained within its genome, but also on the information exchanged through its own cell surface; this depends first of all on the blastomeres to which it relates, and later the place that that cell occupies in the biological unit that contains it. This is what is called “position information”. That is, the development of a living being does not depend only on its genome, but also on other mechanisms that regulate the functional expression of its genes. This is conditioned, among other things, by the interactions between its own cells and the spatial situation of those cells, and by the site in which each of these is located. This regulation determines where, when and for what purpose a cell has to divide in accordance with a unitary and harmonious development. 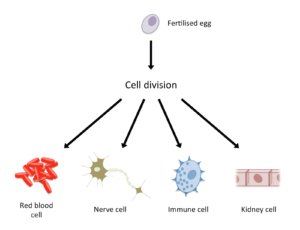 This cell differentiation towards a specific cell phenotype also occurs in adulthood and becomes particularly obvious when an undifferentiated adult stem cell, for example, a bone marrow mesenchymal cell, reaches a certain tissue. There, it is incorporated in a specific cell niche that determines that that undifferentiated cell differentiates towards the specific cells of that particular tissue. This differentiation mechanism is especially dependent on the instructions that the cells in the cellular environment send to the undifferentiated cell incorporated in that cell niche, a clear example of the role played by the “position information”. 2.3. 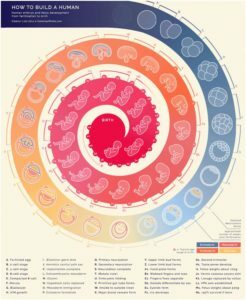 Another important aspect to consider in this single-cell human embryo and the embryonic phenotypes subsequently generated, as an organised living unit, is everything related to the role that the cell membranes of the gametes play, and the asymmetric structuring of that first two-cell embryo. This is fundamentally determined by the dividing line (polarisation plane) that is established between the point at which the sperm penetrates the zona pellucida of the egg to fertilise it and the polar nucleus of the egg itself. This cellular asymmetry, determined by the polarisation plane of the zygote, is an important factor for organisation of the embryo into cellular structures with different, precise, well-determined functions, giving rise to two unequal blastomeres with different destinies in the embryo. The blastomere with the cellular material that includes the sperm entry point is divided equatorially and asymmetrically, before the other blastomere. These two initial asymmetric cells of the embryo are those that will give rise first to the inner cell mass (ICM), and then to the body of the embryo. The other blastomere then divides, in this case symmetrically, thus giving rise to the 4-cell embryo. 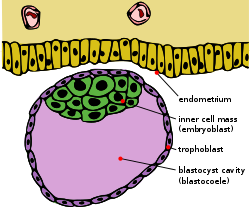 The trophoblast and the placenta are generated from the latter two cells. As well as the cellular asymmetry of the first blastomeres, these also possess different cellular biochemical components with particular and different functions, especially related to the specific development and biological function of each of the cells. In fact, the two cells resulting from this first cell division have a different calcium concentration, which helps to regulate the genetic expression of their genome and the kinetics of their cell division. The cell with the highest calcium ion concentration divides earliest, thereby generating the 3-cell embryo. This division takes place on an equatorial plane, then the other is divided along a meridional plane. At around 24 hours of life, the embryo already has four cells. As already mentioned, the first two calcium-rich cells will give rise to the ICM and, subsequently, the body of the embryo, while the two cells with the lowest calcium ion concentration will give rise to the extraembryonic trophectoderm, from which the placenta will be formed. All of the above, aimed at demonstrating the organisation of the human embryo in its early stages of life, and that each of the cells has a specific defined function, has been corroborated by simple, demonstrative experiments by Zernicka-Goetz’s group (see HERE), (8)(9) in which the authors labelled the first two cells of a rat embryo with different colours (one red and the other blue). From the red-stained cell arose the ICM of the blastocyst, which, as mentioned, will give rise to the body of the embryo; the extraembryonic trophectoderm was derived from the other, the blue-stained cell, which in turn will give rise to the placenta and the tissues that sustain it. That is, the functional identity of the first two cells of the embryo is determined by the first cell division, with each cell already having a specific role in embryo development. 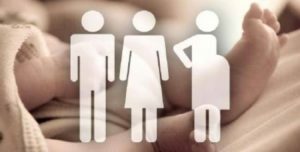 This led Helen Pearson to comment, in an article published in Nature, (10)that the biological identity of the human being is established from day one of the embryo’s life. ”More recently, new mechanisms have been described that regulate embryonic cell differentiation towards different lineages. Thus, Plachta et al. (12) found that the capacity of the cells of the 4-8 blastomere embryo to differentiate depends not only on the concentration of Oct 4, as we will discuss later but also on the kinetics of this factor between the embryonic cells. This supports the idea that the embryonic cells, in their initial stages of development, present molecular differences that directly affect their biological destiny. Indeed, in order for the sperm to penetrate the egg, two things are basically required: first that it is activated by a glycoprotein from the zona pellucida of the egg, fertilizing, and second, the existence of signals that determine the site where the sperm must penetrate the egg, which appears to be conditioned by the increase in calcium ion levels in that zone. More is now known about the asymmetric division of the zygote, since according to a report in Investigación y Ciencia, (14) “an essential aspect of the development of multicellular organisms is the generation of multiple and very varied types of cells from a single cell. In certain cases, this is achieved by asymmetric cell divisions, so called because the two resulting daughter cells receive different combinations of factors that determine their cellular destiny, i.e. the molecules that determine the type of cell that each of them will become”. In this study, the author makes reference to another study, by Derivery et al, (15) who studied the division of cells that organise the sensory organs of the fruit fly, Drosophila melanogaster, demonstrating a complex and well-programmed system of divisions that essentially consists of two phases. In the first, it was found that, towards the end of cell division, a structure composed of microtubules is assembled in the center of the cell and moves equally towards both sides of the plane that will cleave the cell in two. After this, the endosomes (molecular vesicles) are distributed homogeneously on this structure, moving in both directions along the microtubules forming it. In the second phase, just before the cell divides, the microtubules are destabilised to one side, with the result that the endosomes will spend more time on that side and will end up accumulating in it. As González, the author of the study says, “Taking into account the ubiquitous nature and high degree of evolutionary conservation of the components involved, the mechanism described herein could be operational in other species and cell types in which asymmetric distribution of a load — vesicular or another type — transported by proteins that move along an asymmetric bundle of microtubules”. This could provide important clues to understand the functioning of fundamental biological processes in higher organisms and among them, why not in the asymmetric division of the zygote? 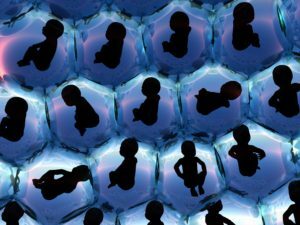 This would undoubtedly confirm that early human embryo from the zygote phase is a living being that controls its development with very specific biological mechanisms, which could in no way occur in random cell clusters. 2.5. Another aspect to consider, which decidedly goes against considering the early embryo as a simple cell cluster, is the genetic regulation of the mechanisms of cell differentiation, which points towards specifically determined epigenetic control. Indeed, it is known that, as cell division progresses, the cells of the embryo lose plasticity, i.e. they gradually lose the potential to give rise to different cell types. This mechanism arises and is partly regulated, by the expression of different genes, especially Oct-4 (see HERE), which already exists in the first embryonic blastomeres, and even in the egg. 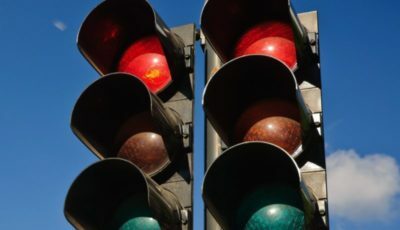 It codes for a transcription factor, which is necessary in order for each blastomere to maintain its totipotency, by slowing down the differentiation impulses from the cells in its environment. In fact, each of the cells of a 3-5 day embryo maintains its ability to differentiate into cells of all types of tissues through the action of Oct-4. However, as embryo development continues, its cells lose Oct-4 activity and consequently the mechanism they have to remain undifferentiated. When they become differentiated adult cells, the Oct-4 activity has almost disappeared; in contrast, when these differentiated cells are dedifferentiated to return to their embryonic state, in cell reprogramming processes, the Oct-4 levels are recovered. There are other genes that also help these cells to remain undifferentiated, the most significant among them being Nanog. 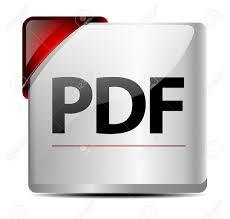 Now, however, with the publication of an article in Development (see HERE),(17) which we will discuss here, that biochemical and immunological dialogue has been extended to the genetic field (see our article HERE), after investigators found that elements in the fluid secreted by the endometrium, and which the child absorbs during the implantation process, may modify the gene expression of the child. Moreover, in the case of surrogacy, the surrogate mother could also influence the child’s genome, i.e. biological links could be established with the child carried, beyond those created by the pregnancy. 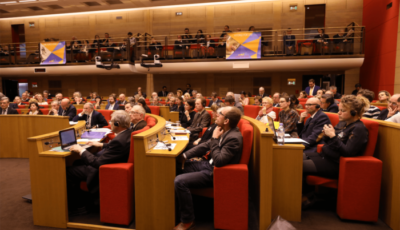 Related to the biochemical dialogue discussed above, the phenomenon of “maternal-fetal immuno-tolerance” is particularly significant. However, there is one circumstance — in our opinion unique in the immune system of mammals — which is that the immune system can be inhibited in the mother to allow a foreign body, namely her child, to be implanted in her body without being rejected (it must be remembered that 50% of the child’s genetic endowment comes from the father and consequently is foreign to the mother). 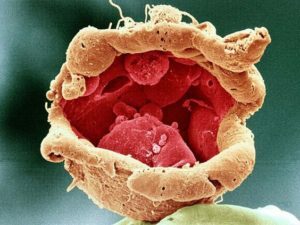 This is what happens with a so-called immune tolerance between mother and embryo (see HERE). As mentioned previously, among the different positions on the biological nature of the human embryo is that of those who consider that the human embryo obtained by SCNT (cloning) or parthenogenesis (see HERE our medical and ethical assessemet) has a different biological nature to that of the zygote naturally obtained by fusion of the egg and sperm. In fact, it even has a different name: clonote or parthenote. This biological difference is based fundamentally on the fact that the clonote and parthenote lack the genetic information contributed by the fusion of the egg and sperm, as well as the male genome, information that they consider necessary for that clonote and parthenote to develop into a healthy adult human being. 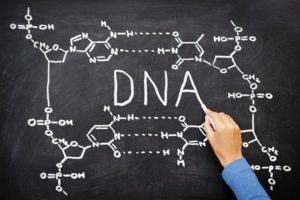 This theory is supported by the biological fact that, until now, it has not been possible to generate human individuals by these techniques, (18) although other types of mammals have been cloned, the first being Dolly the sheep. If this hypothesis were true — given that a living adult human being cannot be generated from a clonote and parthenote — that could be used as a source of biological material, especially stem cells, for biomedical experiments. This could be done with no additional ethical difficulties because although it would have to be destroyed to obtain the aforementioned biological material, a biological entity that could never develop into an adult individual would be destroyed. That is, we would not be talking about a human embryo, but rather an embryoid body. 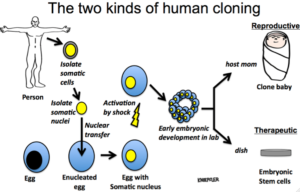 However, if the blastocysts produced by cloning or parthenogenesis could continue developing into an adult being, something hitherto unknown, it would be risky to say that the clonotes and parthenotes could be used for biomedical experiments with no ethical difficulties, since the dignity of human nature is not determined by the mechanism used to generate the embryo, but by the nature of the adult individual produced, a nature that, in our opinion, is difficult to argue is not that of a being of our species. Others maintain that human life begins with the pregnancy, i.e. that it begins with the implantation of the embryo in the mother’s uterus, and that therefore any manipulation of that biological being before the pregnancy begins (in other words, before implantation) is ethically acceptable, because they would not be acting on a developing human being, but on what they call a “pre-embryo”. In our opinion, it is an elementary mistake to confuse viability with a living being. Viability requires the previous existence of a living being that can later be eradicated. Furthermore, some of the supporters of this theory contend that, in order to guarantee its viability, it is essential that the embryo can feed itself, something that would not be accomplished, according to them, until it consolidates its implantation in the maternal endometrium. However, these people should be reminded that the embryo already feeds itself with material provided by its mother before implantation, since from the impregnation of the egg by the sperm until its implantation, i.e. 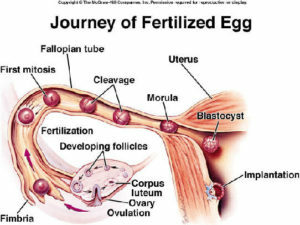 during the passage of the zygote/embryo through the Fallopian tube (approximately 5 days) until its definitive accommodation in the mother’s womb, the new being feeds itself with the material contained in the cytoplasm of the egg itself, which, of course, has been provided by its mother. In relation to the position that human life begins with the consolidation of implantation, a recent article(19) is very illustrative. The article reports that 57% of American gynaecologists believe that gestation, and therefore human life (because if there is no living being, it can hardly be gestated) begins at fertilisation, and that only 28% believe that it begins with implantation of the embryo in its mother. This decidedly supports the position that human life does not begin with the pregnancy, but at fertilisation. In light of the above, we believe that we can safely say that the life of a human being clearly begins ( human life beginning)with the fusion of the pronuclei, male and female, i.e. at fertilisation, and that this primitive embryo is therefore deserving of the respect owed to all adult humans, which will consequently condition that any manipulation of the early human embryo, not intended for its own good, and especially its destruction, is ethically unacceptable. Justo Aznar M.D. 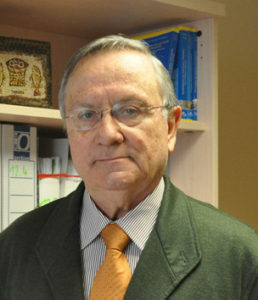 Ph.D. y Julio Tudela Pharm Ph.D.
1. 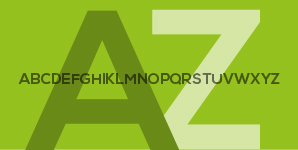 Aznar J. Mechanism of action of the morning-after pill. Medicina e Morale. 2009; 3:499-517. 2. Aznar J. Ulipristal acetate. A new emergency contraceptive. 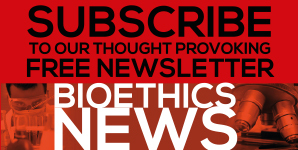 Ethical aspects of its use. Medicina e Morale. 2010; 1:15-21.3. 3. Aznar J, Tudela J. Ulipristal acetate. An emergency contraceptive? Medicina e Morale. 2011; 2:233-45.4. 4. Aznar J. Designer babies. A question of ethics. Medicina e Morale. 2009; 59(6):1099-119. 6. Ley 14/2006, sobre Técnicas Humanas de Reproducción Asistida. 2006 Mayo 22. 7. López Moratalla N, Santiago E, Herranz G. Inicio de la vida de cada ser humano, ¿qué hace humano el cuerpo del hombre? Cuadernos de Bioética. 2011; 22(75):283-308. 8. Gardner R. Specification of embryonic axes begins before cleavage in normal mouse development. Development. 2001; 128(6):839-47. 9. Piotrowska K, Wianny F, Pedersen R, Zernicka-Goetz M. Blastomeres arising from the first cleavage division have distinguishable fates in normal mouse development. Development. 2001; 128(19):3739-48. 10. Pearson H. Developmental biology: Your destiny, from day one. Nature. 2002; 418(6893):14-16. 11. Deglincerti A, Croft G, Pietila L, Zernicka-Goetz M, Siggia E, Brivanlou A. Self-organization of the in vitro attached human embryo. Nature. 2016; 533(7602):251-4. 12. Plachta N, Bollenbach T, Pease S, Fraser S, Pantazis E. Oct4 kinetics predict cell lineage patterning in the early mammalian embryo. Nature Cell Biology. 2011; 13(2):117-23. 13. Han L, Nishimura K, Al Hosseini H, Bianchi E, Wright G, Jovine L. Divergent evolution of vitamin B9 binding underlies Juno-mediated adhesion of mammalian gametes. Current Biology. 2016; 26(3):R100-1. 14. González C. División celular asimétrica en el desarrollo animal. 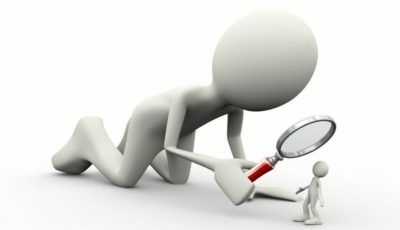 Investigación y Ciencia. 2016; 478:14-5. 15.Derivery E, Seum C, Daeden A, Loubéry S, Holtzer L, Jülicher F, et al. Polarized endosome dynamics by spindle asymmetry during asymmetric cell division. Nature. 2015; 528(7581):280-5. 16.Tudela J, Estellés R, Aznar J. Maternal-foetal immunity: an admirable design in favour of life. Medicina e Morale. 2014; 5:833-45. 17.Vilella F, Moreno-Moya J, Balaguer N, Grasso A, Herrero M, Martínez S, et al. Hsa-miR-30d, secreted by the human endometrium, is taken up by the pre-implantation embryo and might modify its transcriptome. Development. 2015; 142(18):3210-21. 18.Aznar J. www.observatoriobioetica.org. [Online]. ; 2010 [cited 2017. 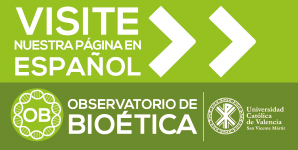 Available from: http://www.observatoriobioetica.org/wp-content/uploads/2013/12/clonaci%C3%B3n-c%C3%A9lulas-madre-y-reprogramaci%C3%B3n-celular.pdf. 19.Herranz G. Entrevista realized por Antonio García Prieto. 2001 Febrero 16. I tackled this topic a few years ago — my most-cited blog ever. Great analysis here! You will be compensated, now you can affirm that you are updated almost in real time. It is a work more than informative an explanatory cornerstone of reference to everything that has to do with the human embryo, his biological status and his condition of individual os our species. More we advance in science more his characteristics are confirmed.